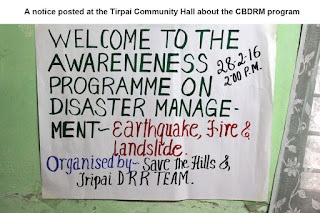 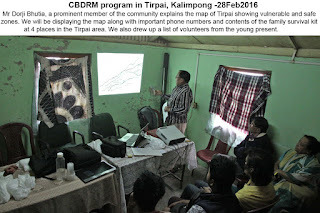 I live in Tirpai, Kalimpong and after our first meeting on 31Jan2016 at my home, the core committee met in mid-Feb2016 following which we continued the CBDRM work at the Maitri Sangh Community Hall in Tirpai bazaar on 28Feb2016. 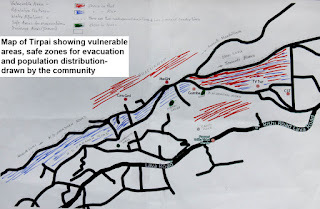 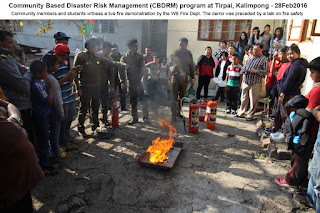 The WB Fire Dept responded enthusiastically with a lecture on 'Fire Awareness and Safety' which included a fire demo after which we showed a map of Tirpai with the vulnerable and safe zones. 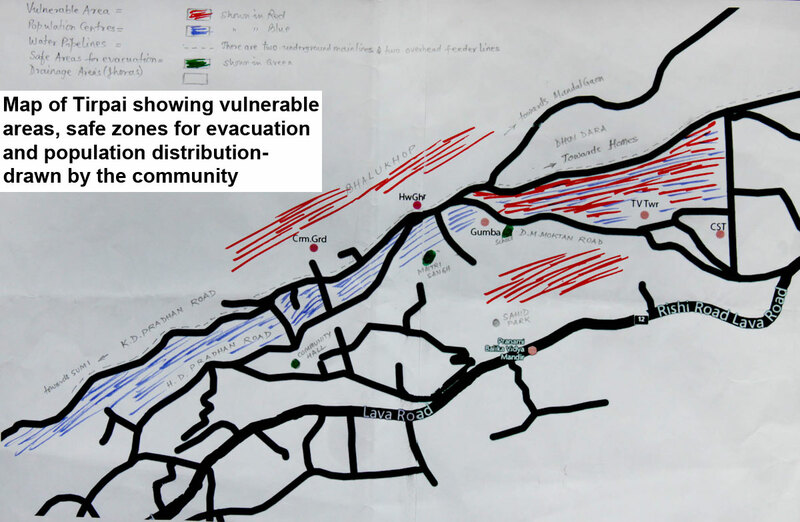 We have drawn up a list of volunteers who will receive training in the future. 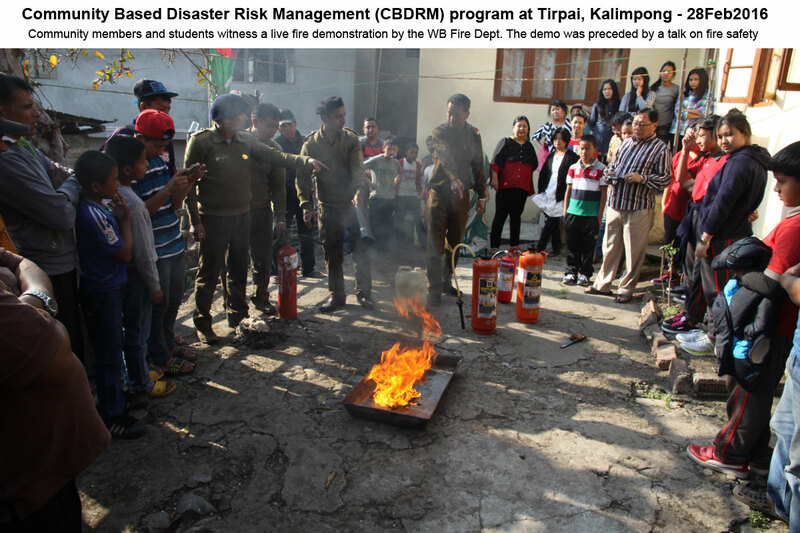 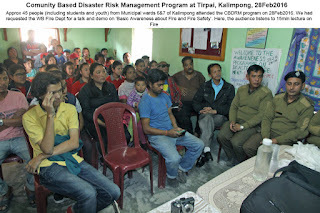 My thanks to the WB Fire Dept, Kalimpong Station and Maitri Sangh (Tirpai, Kalimpong) for making the program a success.